Maribor aquarium is tiny in comparison to aquariums in the States or elsewhere but sufficiently rich to excite anyone interested in exotic animals. Our daughter Marusa is totally crazy about animals in general so we don't really have choice here. 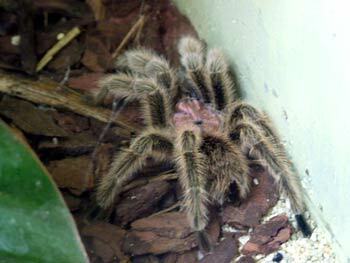 But anyway there are so many cute little animals there it is always fun for us adults too. 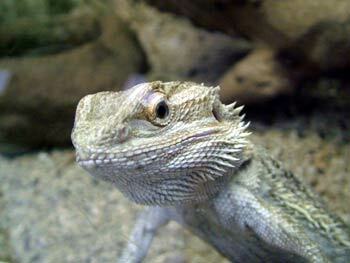 Though, I cannot say anything about reptiles in Maribor aquarium because of my fear of snakes. This isn't a real phobia but I rather avoid them if possible the same as my husband Milan is trying to avoid spiders, if you know what I mean. Well, here we are with a few images taken in April of 2008. 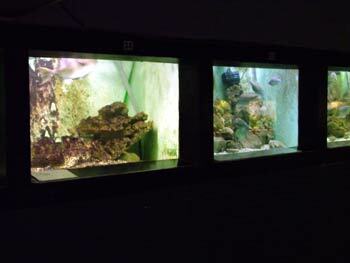 The fish tanks in the aquarium date back to 1953.
of fish from different parts of the world. Kids are crazy about tropical fish and their colorful fish tank. 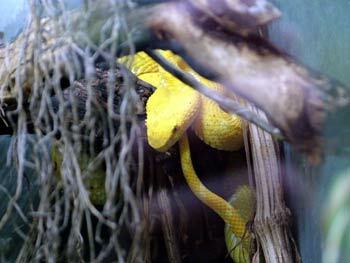 rattle snake, African cobra and more. 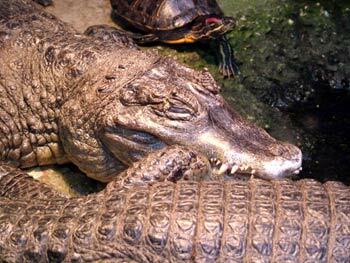 crocodiles without any fear of being harmed. 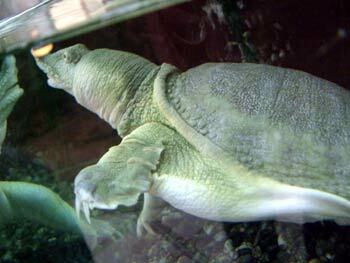 This is certainly Marusa's favourite animal Maribor aquarium. right this turtle follows her. 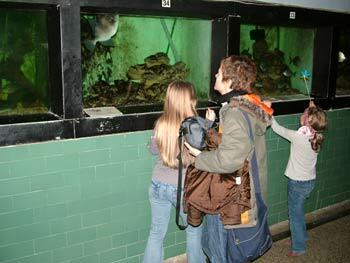 We were really happy when we received news of a new aquarium to be built in Maribor. The location and detailed plans are not known yet but it's about time. That would be great for all animals to the benefit of more space and better living conditions and for all animal-lovers, tourists and Mariborians who visit the aquarium. 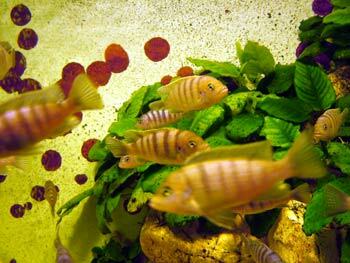 After all it is one of the most important aquariums in Central Europe.